Each stem in this collecton of silk Gerbera Daisies is arranged in its very own stylish vase. 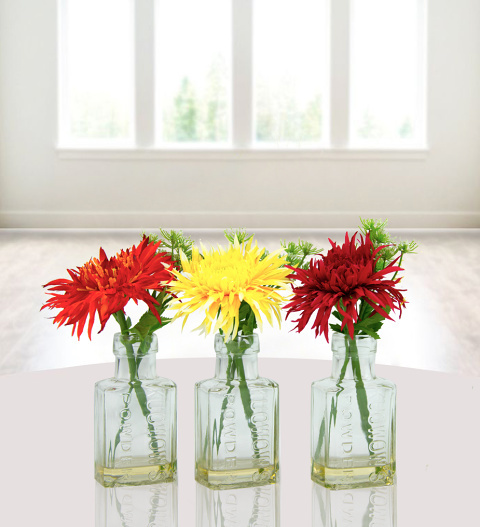 These bud arrangements can be arranged as a collection or they could be split up and enjoyed throughout your home. Every flower is accompanied by a sprig of lush faux foliage to bring all the colourful elements together. Make an occasion that bit extra special with this wonderfully packaged gift.